AUD/USD broke above 0.7135 resistance. Further rally is still possible and next target would be at 0.7200 area. 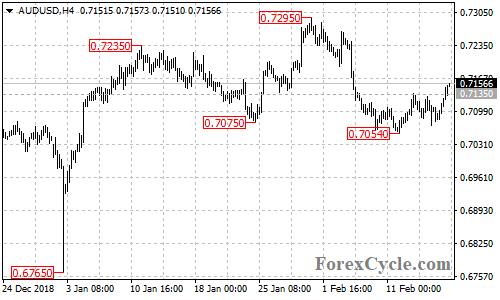 Near term support is at 0.7110, a break below this level could bring the price back to test 0.7054 support.